Graffham is proud to offer a ground floor ring of six bells with a tenor weighing 9-1-26. The bell-ringers are a friendly crowd who meet to practice on Tuesday evenings from 7.30 to 9pm, before often adjourning to a local pub. Bells are rung for the morning service on Sundays from 9.50am, for weddings and for special occasions. In November 2018, the bells of St Giles participated in ‘Battle’s Over’, the national commemoration of the end of hostilities of World War 1. Bell-ringing is a hobby that can be enjoyed by young and old alike. St Giles bell-ringers would welcome any new ringers and have experienced ringers on their team ready to teach you. 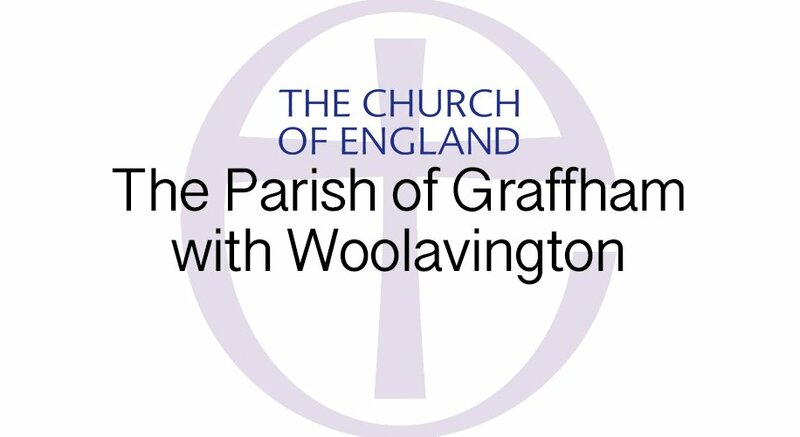 Although the bells rightly contribute to the offering of worship in our village community, there is no requirement for ringers to attend services for which they ring. From time to time, bands of visiting ringers will come to ring at our church and are most welcome to enjoy our bells. 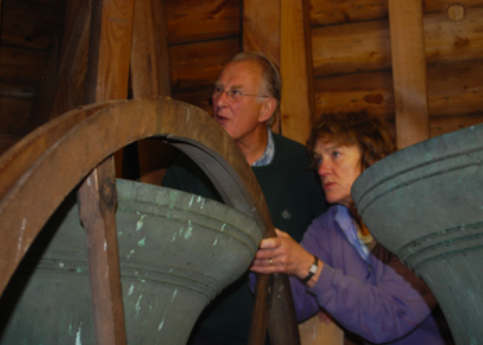 Graffham bell-ringer George White has written a comprehensive history of our bells. If you are interested in finding out more, please see Contact Us: Alphabetical List for the Tower Captain’s contact details. Or come along on a Tuesday practice night and introduce yourself. You will be very welcome.